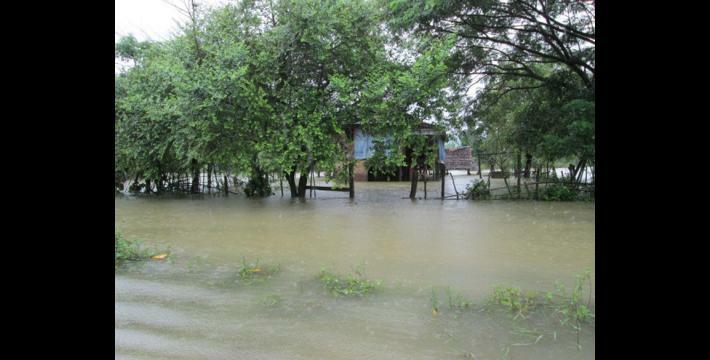 This Situation Update describes events occurring in Hpa-an and Bilin townships, Thaton District during the period between July and September 2013, including forced labour, on-going militarization, forced recruitment, arbitrary taxation and demands, and access to healthcare and education. Border Guard Force (BGF) Battalion #1014 established a camp in Koh Tah Kyee village, T’Kaw Boh village tract, Hpa-an Township. 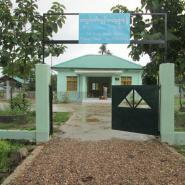 This is the fourth BGF camp to be established in Hpa-an Township. BGF Warrant Officer Eh K’Luh, who is based in Meh Poo camp, demanded 30 bamboo poles and 17 logs from A--- village in order to repair the camp. Thaung Kyan Thu Hsan Kyin Yin A Pwe (also known as Tha Ka Hsa Pha), a pro-government anti-insurgent group, ordered villagers in Hpa-an Township to serve as soldiers within the organisation. Two people from each village were ordered to serve each month. If the villagers declined to go, they were required to pay 50,000 kyat (US $50.66) per person. In Bilin Township, the district level administration of the Karen National Union (KNU) made an agreement with an independent organisation that established 13 schools in the area. 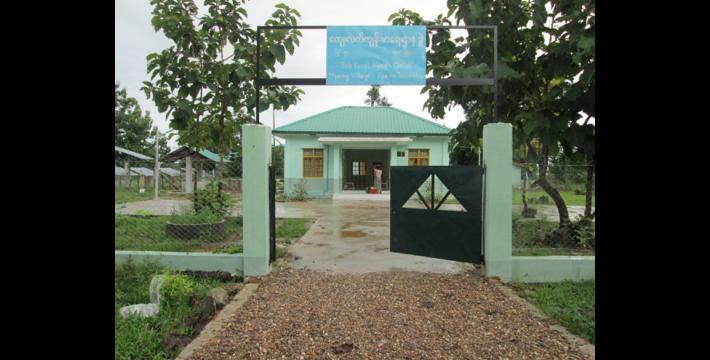 In Hpa-an Township, both the Burmese government and NGO actors have increased their presence in the education sector, providing various forms of support. The following Situation Update was received by KHRG in November 2013. It was written by a community member in Thaton District who has been trained by KHRG to monitor local human rights conditions. It is presented below translated exactly as originally written, save for minor edits for clarity and security. This report was received along with other information from Thaton District, including two incident reports, three interviews, 206 photographs and 16 video clips. I wrote up the situation update based on the situation in the area as we experienced, saw and heard. The situations that I will report on are: (1) the armed groups’ situation, (2) the civilians’ livelihood situation and (3) the education/health situation. On September 15th 2013, BGF Battalion #1014 came and set up another army camp in Koh Tah Kyee village, T’Kaw Boh village tract, Hpa-an Township. People [local villagers] do not know the names of the commanders yet. 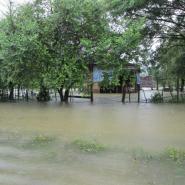 There are three BGF army camps based in Hpa-an Township. They are: (1) Law Poo, (2) Meh Poo and (3) Koh Tah Kyee. When they came and set up another army camp, on August 25th 2013, Warrant Officer Eh K’Luh, who is based in Meh Poo army camp, demanded 30 bamboo poles and 17 logs from A--- village in order to repair their army camp. Villagers did not get payment for this demand but they did not dare to refuse. They said that “Because people [the BGF] have weapons, we have to comply when people order us [to do things]”. People [villagers] do not know what the motivations the BGF has when they set up more army camps like this. First, villagers reported that they [the BGF] demanded taxes from the cow and buffalo traders. They demanded 10,000 kyat (US $10.13) for a pair of cows or buffalo. The second thing, regarding [the BGF] setting up more army camps like this, villagers worry that the fighting will happen again. Tha Ka Hsa Pha [which stands for] Thaung Kyan Thu Hsan Kyin Yin A Pwe [a pro-government anti-insurgent group], which is led by Moe Nyo, still always orders villagers to go and serve as soldiers in his organisation. Two people from different villages have to go serve as soldiers every month. If they [the villagers] do not go, they have to pay 50,000 kyat (US $50.66) per person. Regarding this issue, villagers have complained but they dare not prevent [it]. People who are not willing or dare not be a soldier, they have to escape to other places and have to leave behind their house and property that belongs to them. 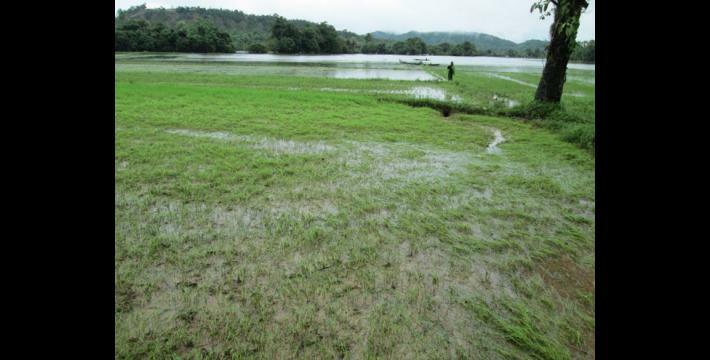 In 2013, starting in August until the end of September, it rained a lot and flooded the agriculture [fields] such as those growing paddy and peas. Because there was rain for several periods, a lot of plants died. 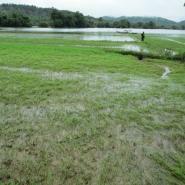 Villagers worry that they will have to deal with food shortages in the coming year. Villagers in Hpa-an Township mostly make their livelihood by farming, such as farming flat farms, swiddening [slash and burn farming] and daily wages [day labour]. They do not have a way to do business in order to get a lot of money. If they have no other way, there is only one option, which is that they send their children to Thailand [to work]. Regarding the education situation in Hpa-an Township in 2013, because of the ceasefire we have seen the Myanmar government’s education department and NGOs enter [the area] and support the villagers a little bit. In regards to government assistance, they provide support with books such as notebooks and pens and support the school teachers as well. The books [notebooks] and pens are distributed for free. For the school teachers, in one village, if the school is taught to grade four, they [the Burma/Myanmar government] provide three or four school teachers. Among the school teachers, they place one school principal and the others are normal school teachers. For daily wages for the school teachers, they pay 2,000 kyat (US $2.03) per day. Villagers have to provide their food and pay for their travel expenses. The school teachers came and taught in the school for one to two weeks and then they went back and attended trainings and disappeared for one to two months, so students could not study well. Furthermore, regarding providing school teachers like this, the school teachers from the local villages do not get the opportunity to teach. Moreover, the children could not learn Karen [language]. In the Bilin Township area, the organisation at the district level of the Karen National Union [KNU] has an agreement with an independent organisation that people do not know the name of yet. They are planning to enter and establish schools in 13 villages. The information was known when the decision was made during the district permanent committees meeting on September 18th 2013. The villages where the schools will be established are: (1) Ta Uh Hkee, (2) Ta Uh Nee, (3) Kyoh Weh Baw Naw Nee, (4) west Yoh Klah, (5) West Htee Hpa Doh Hta, (6) Kyoh Weh, (7) Ler Hpoh, (8) P Ya Raw, (9) Thoo K’Bee, (10) Ler Hklaw, (11) Ta Paw, (12) Ta Paw Hkee and (13) Noh K’Neh villages. But as of yet, we have not seen the organisation enter into the area. 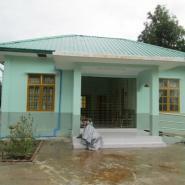 In Hpa-an Township, regarding health [care services], we have not seen the villagers build clinics in their villages. If the villagers get a little sick, they go and take medicine from people who attended training [medical training] in Myanmar’s towns, and they have to pay a very expensive medical fee. If villagers get seriously ill, they go and heal at the hospital in the city and the medical fees are very expensive. Some have to sell their house and plantations [to pay their bills]. 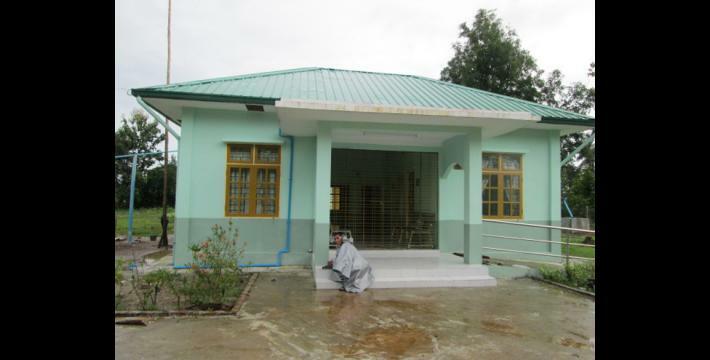 In 2013, based on my trip and what I saw, a company named Zin Yaung Htun Taung came and built one clinic in Ee Heh village, Ee Heh village tract. The non-governmental organisation called ADRA [Adventist Development and Relief Agency] also came and built one clinic and the aid [funding and materials] came from Japan. This report is about the information from when I went to this area and the incidents that happened and occurred. We saw some ourselves and the villagers who had to suffer from the incidents reported them to us and we learned about them. We compiled them all and wrote them up as the real situation [in these areas].